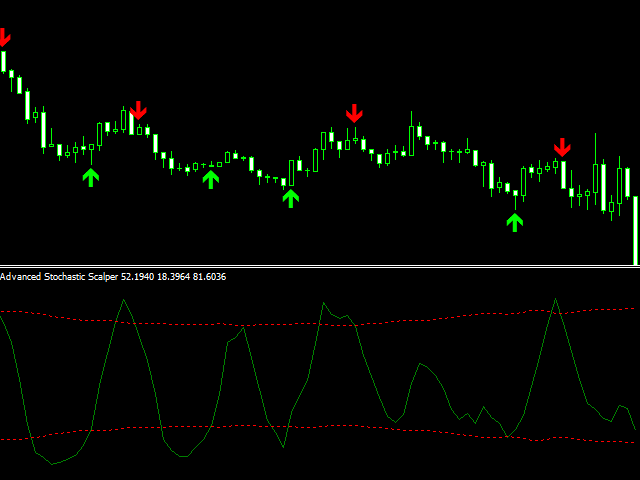 Advanced Stochastic Scalper MT5 is a professional indicator based on the popular Stochastic Oscillator. 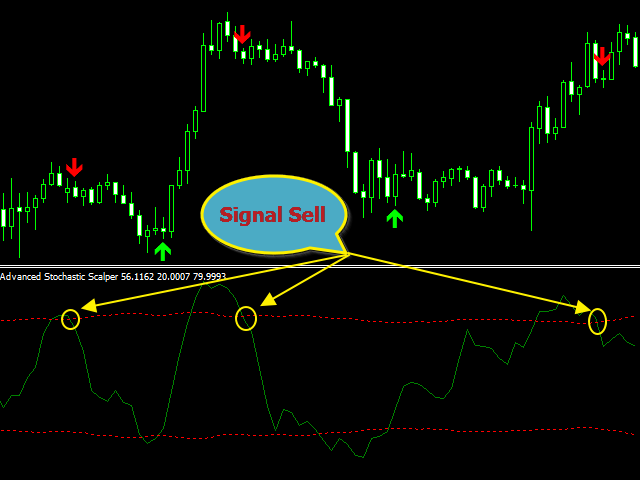 Advanced Stochastic Scalper is an oscillator with dynamic overbought and oversold levels, while in the standard Stochastic Oscillator, these levels are static and do not change. 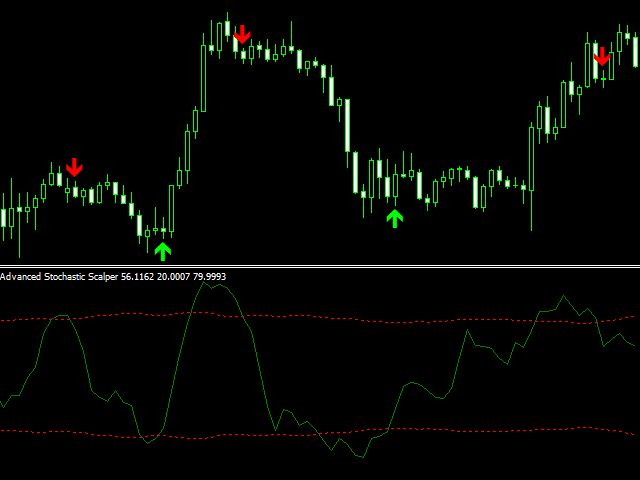 This allows Advanced Stochastic Scalper to adapt to the ever-changing market. Advanced Stochastic Scalper is perfect for trading currencies (including cryptocurrencies) and binary options. 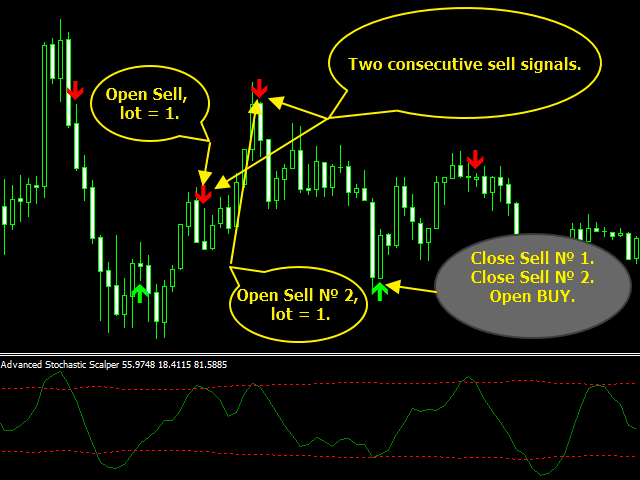 The version for MetaTrader 4 can be downloaded here: https://www.mql5.com/en/market/product/28824. Method - moving average calculation method. The following options are available: 1 - simple, 2 - exponential, 3 - smoothed, 4 - linear weighted. 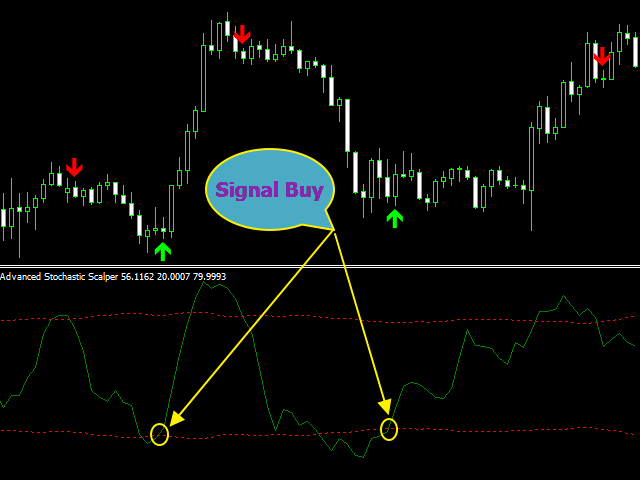 Signals are good on higher time frame combined with other indicators could be very successful. Works as advertised. Clean, no errors. Easy to use. Excellent indicator.